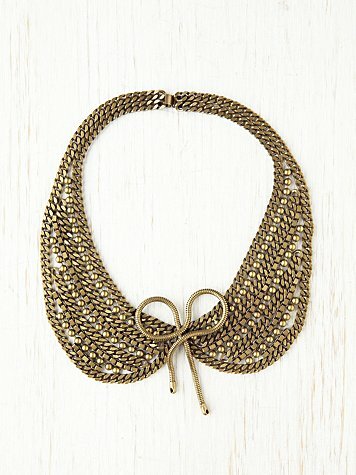 Since when did it become fashionable to wear a necklace that most closely resembles a bib? 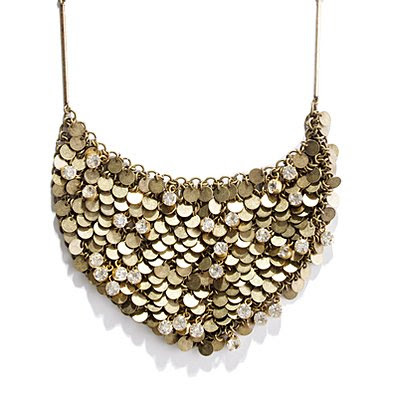 More and more often statement necklaces (and were not just talking pops of color) are gracing button down shirts and silk blouses with their presence and what more to do with these large neck skimming blankets of hardware than to wear them? Well, as they say, "if you can't beat 'em, join 'em." 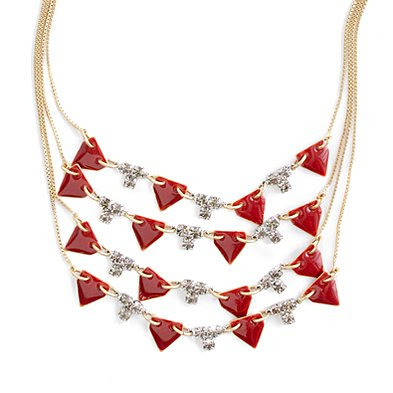 Put this Dannijo on and you get a three for one deal: A collar, a bowtie, and a necklace. The look is certainly starting to grow on me as I find myself "BIBnotized" whenever I am in a store. I automatically am drawn to the thickest necklace in the joint. If it's not 3 inches of chained goodness, you can fugetaboutit. P.S. Wear it over a fully buttoned-to-the-collar shirt to give your bib the attention it deserves!